Database Systems Corp. (DSC) is a leading provider of call center technology including automated phone answering systems, autodialers and contact center software. 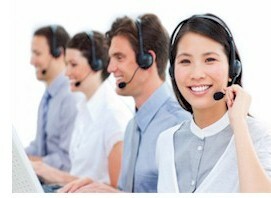 Additionally DSC offers Contact Center Outsourcing services using our multiple locations. The DSC contact management phone system automatically answers phone calls using our own interactive voice response (IVR) systems. Our phone systems and software also manage outbound dialing campaigns that include voice message broadcasting. This service allows you to automatically send recorded voice messages to customers, employees or the general public. Contact management (and contact managers) are programs that enable companies and individuals to keep track of their clients, associates and tasks. Contact management is used by salespeople, customer service representatives, and managers. Contact management relates to calendars and periodic contact with these affiliated groups and individuals. Contact management also integrates email and personal file information (phone numbers and addresses), with task lists and histories of interactions. Contact DSC to learn more about our contact management technology and services. Database has been providing Contact Management Software for several decades. Telemation is our contact management and customer relationship management (CRM) application employed in a wide variety of organizations including contact centers, help desks, customer service centers, service bureaus, reservation centers and corporate call centers. This contact management software has extensive CTI features and is fully integrated with our PACER and WIZARD phone systems. Telemation operates on Linux, Unix or Windows servers. Software programmers can develop contact management applications quickly using the robust features found in the Telemation toolkit. DSC offers contact management phone systems that support both digital (PACER) and analog (WIZARD) phone lines. These systems are capable of handling both inbound and outbound calls for a wide range of contact centers. Automatic phone calls are either dialed by the phone system or accepted from the outside and distributed in an intelligent fashion to your service agents. This phone system includes ACD and IVR components, plus call recording capability. Using industry standard components, the PACER and WIZARD phone systems have features and functions that can only be found in large scale PBX’s, but at a fraction of the cost. 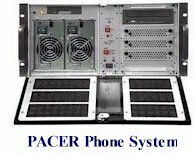 And the PACER and WIZARD phone systems have predictive dialing capability that cannot be found in most of these larger phone systems. Calls can be connected to your employees working at home or in a local or remote office. Contact DSC for a FREE analysis and quote and to learn more about our contact management phone systems, software and services.